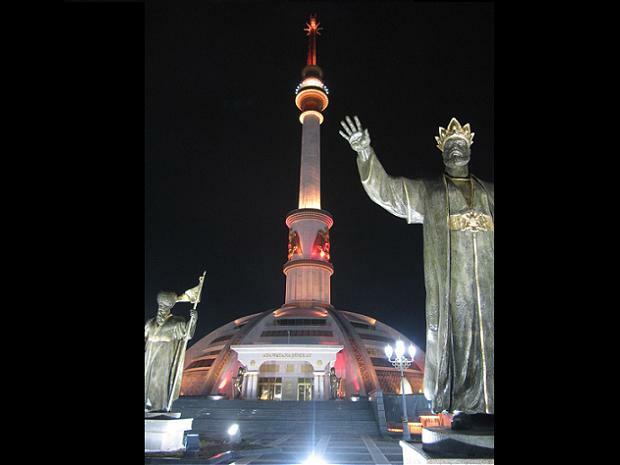 In his latest travel essay for Ceasefire, Jason Smith recalls his bizarre experience of Turkmenistan, including his semi-interrogation by an ex-KGB officer. 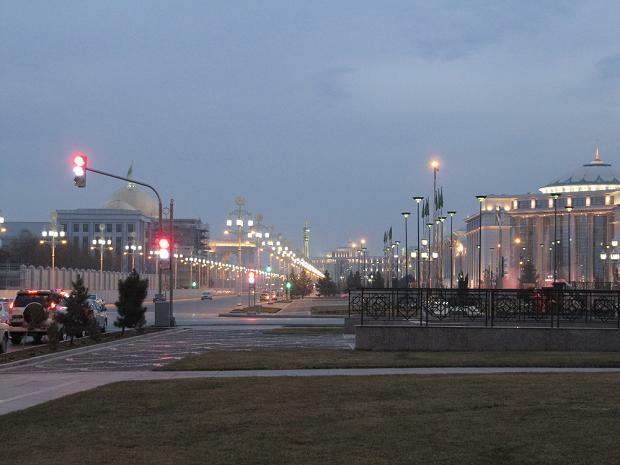 I was granted only a five day visa for Turkmenistan, in which time I would have to traverse the entire country, all the way from its southern border with Iran to its Eastern one with Uzbekistan. A quick hop, true, but enough time to get a taste for this little-understood and thoroughly confusing nation. As always, it was to be my encounters with people that would burn a permanent image into my mind. 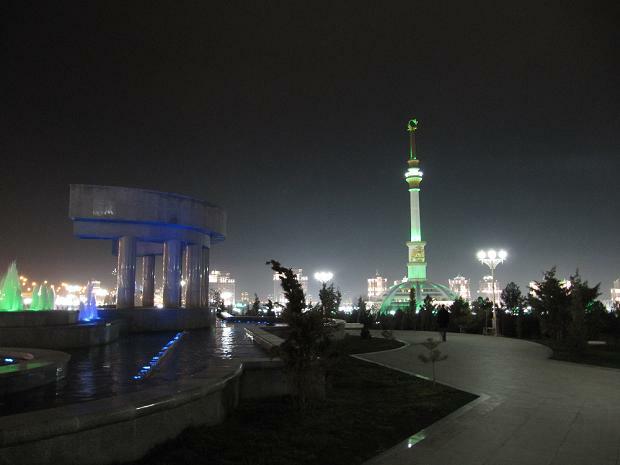 This is not to say that Turkmenistan is not memorable in its own right. 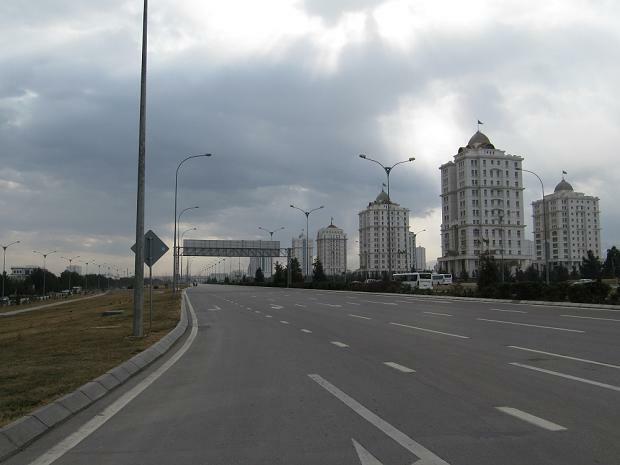 I began laughing the moment I arrived in the capital, Ashgabat, because I couldn’t believe my eyes. A walk through the vast, apparently-modern centre is a fairground ride through the mind of a dictator. 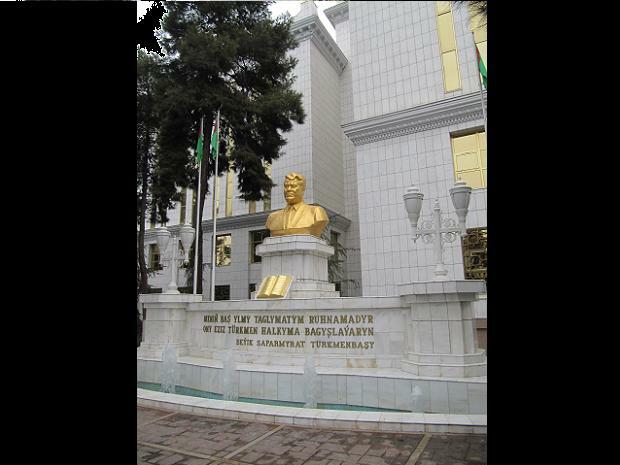 First there are the bronze statues of semi-fictitious Turkmen heroes and mythological characters. (In truth, Turkmen nationalism, whilst based on a particular ethnic group, was created by Stalin as part of his divide-and-rule tactics.) Then there are the huge parks, several kilometres long, marble fountains lining their entire lengths. 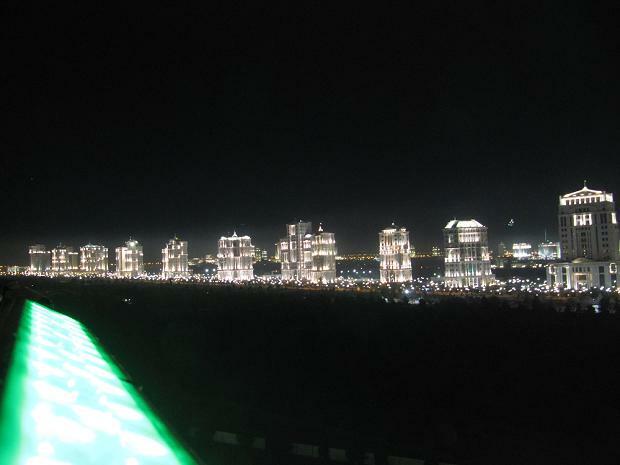 Surrounding them are gleaming white buildings erected in a perfectly spaced oval, shining out like an alien landing zone. But nothing could have prepared me for the grotesque sight of two giant monuments: one in memory of independence, the other in memory of ten years of independence. The former looks like a toilet plunger, the latter like a hundred horses trying to escape from a pond. But it’s not their design that bothered me so, it was the fact they are lit up in primary colours that change every ten seconds. The same goes for the fountains and the numerous other vulgar structures (think flying saucers) – one minute they’re blue, the next red, the next green. I would have been sick had I not been laughing so hard. 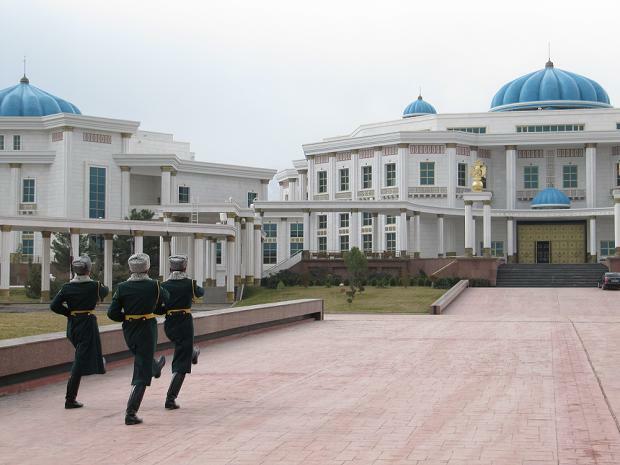 The monuments lead up to the presidential palace, where the president sits playing his giant game of SimCity, laying empty presidential roads and suchlike. Up until Niazov, renamed ‘President for Life’, died in 2006, he was revered as some kind of god, in no small amount helped along by his celestial ego. 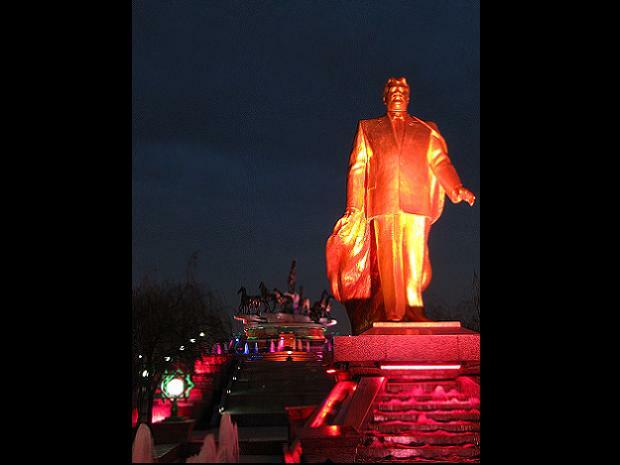 It was he who erected the independence monuments, though independence is a relative term in former soviet states. Niazov was the First Secretary of the Turkmen Communist Party when the union collapsed in 1991, and it was he who remained in power for another fifteen years, despite a declaration of democracy. Interestingly, since his death people seem to have forgotten all about him. His name is enshrined in the written history of the country (indeed, the national history museum contains an entire wing devoted to him) and a few golden busts remain, but he is never mentioned in public. 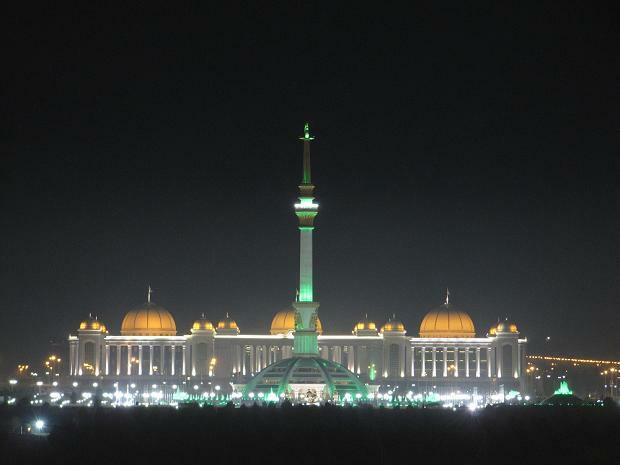 Perhaps the new president, Berdimuhamedow, is trying to get away from the divine status he inherited. The new golden statues suggest otherwise. What does continue into the present – aside from the vast machinery of government including, amongst others, the Ministry of Horses – is that old communist buddy, corruption. I stayed with some local students who showed me that without money passing between slippery hands, not much gets done. I wondered why taxis would slow down past check points until a policeman waved them on; one of my hosts explained that the police stop cars at will and make the drivers pay a small amount to avoid trumped up charges. Later, worried about my legal time slipping away, I became anxious about managing to get a seat on the overnight train to the border. “Don’t worry,” my new friend told me. “I have a friend whose father works for the Ministry of Trains. He will find you one.” Despite the train being full, a ticket materialised. Later, I found myself sitting in an office belonging to the father of one of my hosts’ friends. When he realised I was British he took a sudden interest in me and started talking rapidly and excitedly. He spoke no English and my Russian is rusty at best, so with the help of translation from my host he regaled me with stories of his time fighting for the Russians in Afghanistan. He looked up to the ceiling and smiled as if recalling a fond memory. Then he leaned in close and stared deep into me, reading me like he had done countless terrified people. I felt as trapped as his interviewees must have. He smiled and chuckled to himself. “But the Americans,” he continued, more loudly now, “The Americans squealed like pigs within two minutes!” He sat back and laughed heartily. I found myself laughing along, more out of relief than from his comedy genius. He slapped my thigh as if I had made it through an initiation ceremony. I would have spent the entire night thinking over what had just happened, about whether his apparent joy in retelling war stories was merely a way of dealing with his guilt. I didn’t have time to come to any conclusions because I was immediately adopted by a family in my train compartment. They fed me, taught me card games and the next morning insisted I join them for breakfast in their home in Turkmenabat. They lived humble lives, kept humble by the twisted results of dictatorial communism. But they put a smile on my face and let me leave the country reminded of the more important things in life. « Previous: Analysis | IAEA Iran report: “game changer” or “more of the same”?